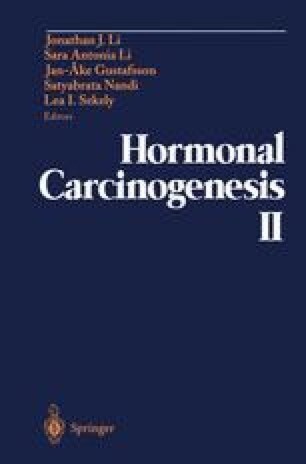 In women, while inappropriate and/or excessive exposure to estrogens is generally associated with breast, endometrial, and vaginal cancer, an increased risk for developing hepatic neoplasms also represents a public health issue. One of the first reports of this association was by Baum, et al. (1), who in 1973 reported an increased incidence of liver neoplasms in women with a history of long-term use of oral contraceptives (OC). Since then, there have been numerous reports confirming an association between OC use and the development of hepatocellular adenomas and carcinomas (2, 3). A recent report of a case-control study in Milan presents data showing that the increased relative risk was directly related to duration of use and, interestingly, persisted for longer than 10 years after exposure ended (4).